The Italian ice-cream brand is all set to open its first store in Kochi. Milano, the Italian ice-cream brand, is all set to enter the Indian market with its first store to be opened in Kochi on December 21. 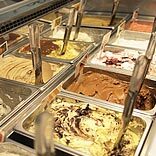 According to Sara Calderoni and Giancario Segalini, directors of the company, Milano's USP is that the ice-creams are home-made, fresh, 100 per cent vegetarian and organic. The storage and producing unit have been imported from Italy maintains its fresh appeal. The brand will be importing certain ingredients while rest of them will be locally procured from reliable vendors. The brand further looks at localising the flavours, offer free home delivery and campaigns during Christmas and New Year. The company will offer 24 flavours.